Cut Through the Noise to Detect Attacks. "Say goodbye to sleepless nights and the sinking feeling that the bad guys are still inside your environment. 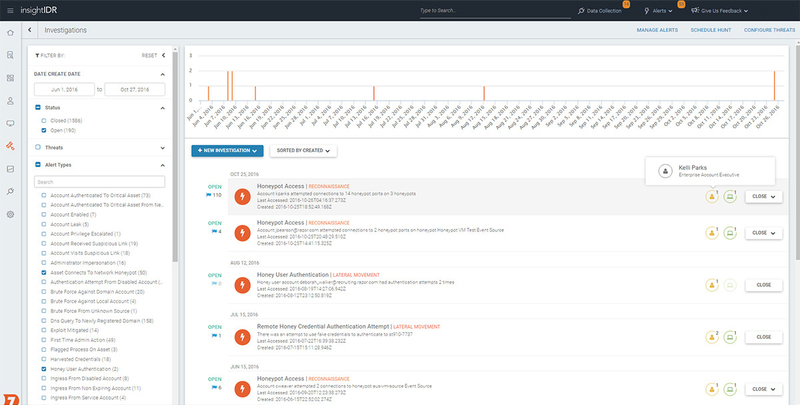 InsightIDR is the only fully integrated detection and investigation solution that lets you identify a compromise as it occurs and complete an investigation before things get out of control." Incident investigations taking hours of tedious work? 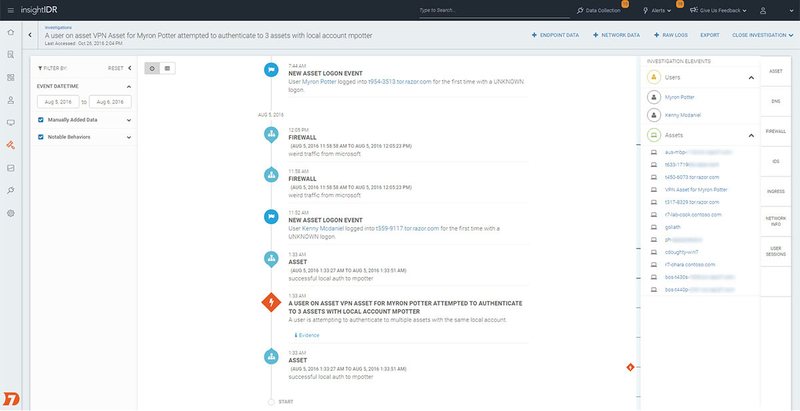 Before an investigation even begins, InsightIDR devours data from across your network and attributes events to the specific users and assets involved. This allows security professionals to quickly look throughout the entire environment for all evidence of a discovered compromise. Attacks are a human problem. They're caused by humans, and they can only be truly defeated by humans. The expert analysts working in our SOCs live and breathe attacker behavior every day. As they identify new threats, they're looking for signs that can help detect such activity in the future, even earlier in the attack chain. 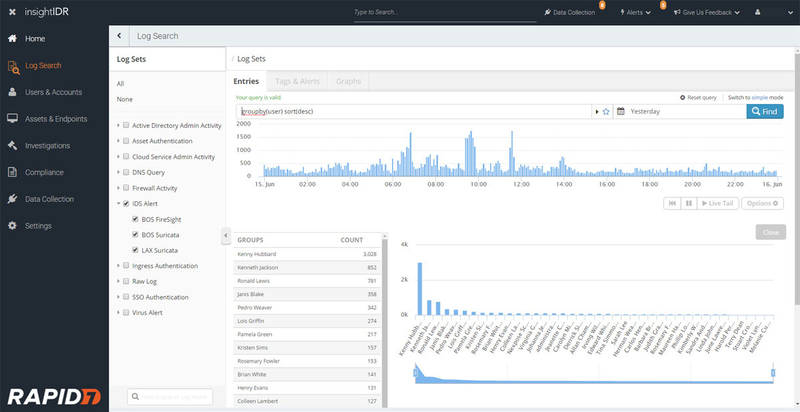 We're constantly turning their knowledge into useful, actionable detections known as Attacker Behavior Analytics. The best part? ABA is available in InsightIDR. 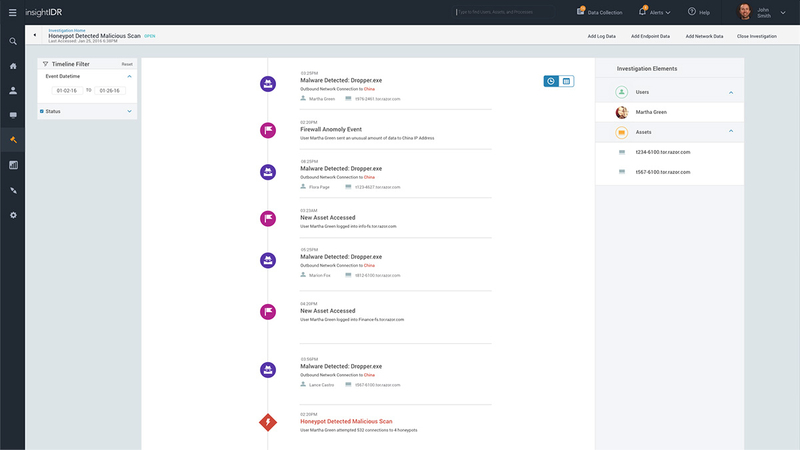 If you’re like the 62% of organizations that report getting more alerts than they can investigate, then you’re likely all too familiar with piecing together user activity, gathering endpoint data, and validating known good behavior just to uncover yet another false positive. 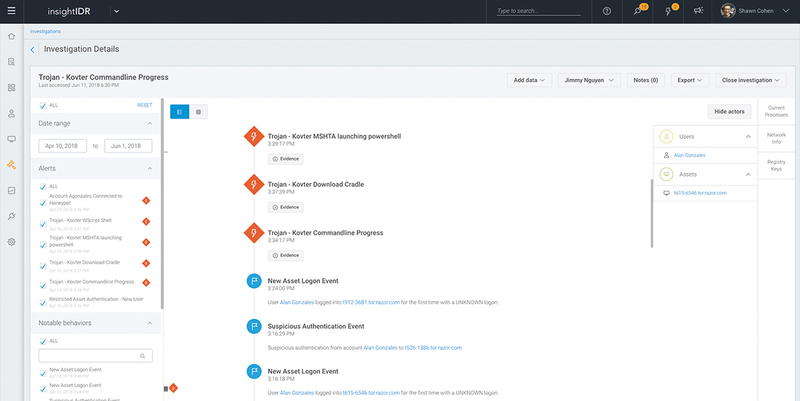 InsightIDR unites log search, user behavior, and endpoint data in a single timeline to help you make smarter, faster decisions. How much faster? Customers report accelerating their investigations by as much as 20x. While InsightIDR excels at surfacing unknown attacks, it will also help you face a known challenge: demonstrating compliance across your security program. 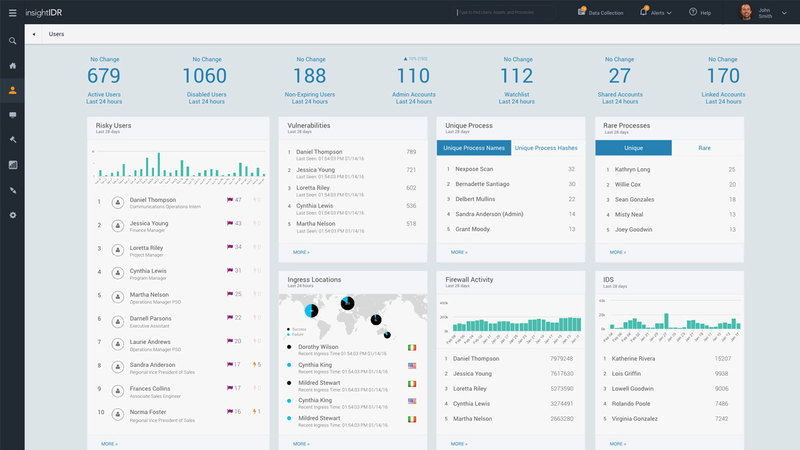 This includes audit logging and log management (e.g. PCI Requirement 10), user monitoring (e.g. NIST CSF Detect), and now, file integrity monitoring (FIM), a regulation mandated across PCI, HIPAA, and GDPR. 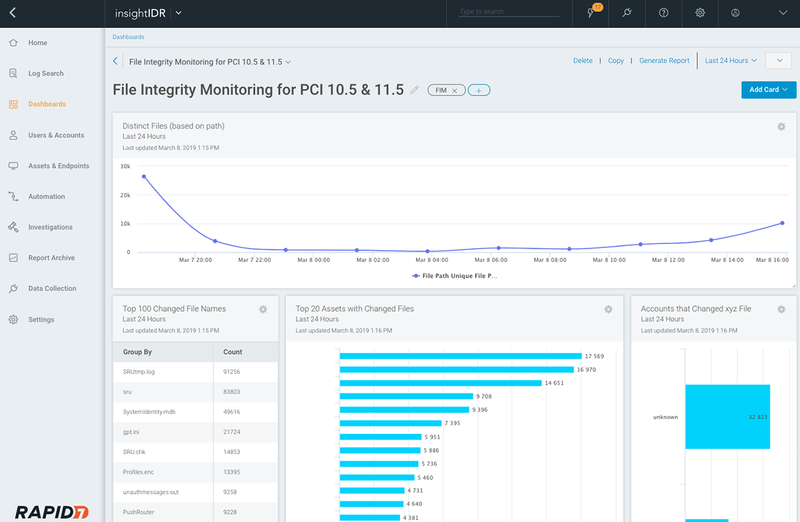 Once you deploy the included Insight Agent to your critical assets, you can activate file integrity monitoring to flag any changes to any specified files or directories on that endpoint. 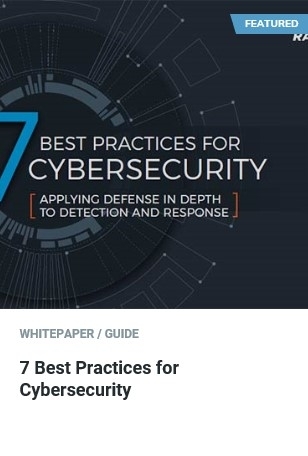 Rapid7 experts have identified the seven best practices for an effective cybersecurity program by applying defense to detection and response. Please feel free to contact SWITCHPOINT NV/SA at any time to obtain additional information on Rapid7 InsightIDR solution.